I work in the lab a lot. Reattaching it to a cluster that is running vSAN. As a result of a new VCSA deployment, only a few SPBM policies will be present. Any previously available SPBM polices are lost with the previous VCSA instance. The Import-SpbmStoragePolicy PowerCLI cmdlet allows administrators to import the SPBM xml. These 2 cmdlets make it easy to download/upload an SPBM policy xml file. But what if you have many policies? These cmdlets work one policy at a time. To export many policies, we’d need to enumerate the policies in vCenter. # Get the name of the policy that is being exported. Importing many policies would work the same way, but each policy would have to be passed to the cmdlet. 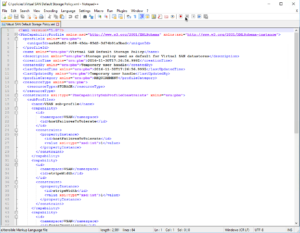 The path and xml policy file names could be part of an array, or read directly from a directory. To handle each of them, we can use Foreach again. To see what each file contains, we’ll need to parse it. 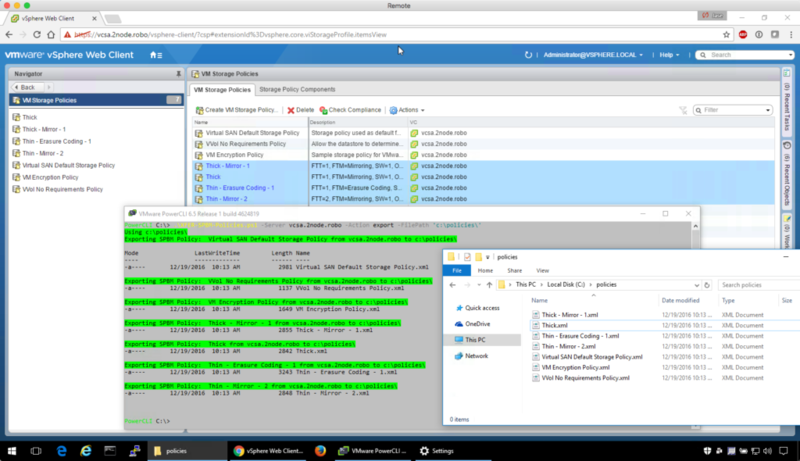 After a little cleanup and error handling, the resulting script can allow the backup and recovery of storage policies into a new vCenter instance.